There are a few problems that may arise in your bankruptcy because you used credit cards to finance your gambling. This article will not go into all of the potential problems that may arise, but will rather focus on the issue of fraudulently incurred debt under Section 523(a)(2)(A). You may have been on a roll or addicted to gambling. You maxed out your credit cards under the belief that you could payoff the cards with your winnings. Things got out of hand and after several thousand dollars of cash advances you simply buried yourself in debt. While you were making the minimum payments on your cards you took out a second mortgage to payoff some credit card debt and went right back to the casino. A short while later you once again maxed out your credit limit under the unreasonable (hindsight being 20/20) belief that you could repay all the debt when you won. Now that your financial situation is bleak you turn to bankruptcy to achieve debt relief and get a fresh start. Starting with the question of whether you made a material misrepresentation as to your intent to repay the debt, you will probably by okay. At the time of your gambling you held the unreasonable belief that you were going to repay that debt with your future winnings. Fortunately for you, your ability to repay the credit card debt at the time of the cash advances is not what determines your intent. You used the credit card because you didn’t have the funds at the time; of course you couldn’t repay the debt when you used the cards. Rather, when you used the card to withdraw the cash advance the court will look at your intention to repay as determined by the totality of the circumstances. The court will look at your subjective intent to repay, meaning your individual state of mind when taking the cash advance. In your case, you held that unreasonable but nevertheless genuine belief that you would repay the debt with future winnings, and your conduct mirrors that intention; you took out a second mortgage to payoff some cards and always made minimum payments. Since there is no subjective fraudulent intent to not repay the cards when you were taking the cash advances, your debt will not be excepted from discharge under Section 523(a)(2)(A). Note: the above situation is borrowed from the fact pattern in In re Rembert. 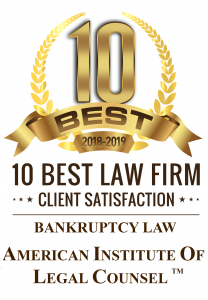 If you are resident of the greater Sacramento or Northern California area, call Sacramento Law Group at (916) 596-1018 to schedule a free consultation with our bankruptcy lawyer.